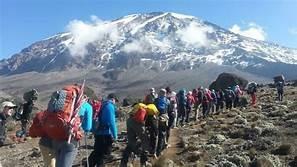 My Kilimanjaro Climb for Charity. Ruby is a Haslemere resident and a student at Bournemouth University. She will be climbing Kilimanjaro to raise money for the 'Hope for Children Charity'. Ruby may be well known to members as she has served us our meals many times at the Georgian. She will be talking about both the Charity and her climb.